Reformation 2017 Sermons: It's Still All About Jesus! Here are 4 Reformation sermons I randomly selected from last week that remind us that despite it being 500 years since the start of the Reformation...it's still all about Jesus Christ! One thing that struck me while listening to and watching these sermons is how beautifully consistent and confessionally sound they were as being distinctly Lutheran. Sadly, I'm not used to that kind of uniformity here in the Eastern District-LCMS so this was quite hopeful and refreshing to me today. One final note has to do with some of the things that Rev. Eric Phillips said during his sermon. 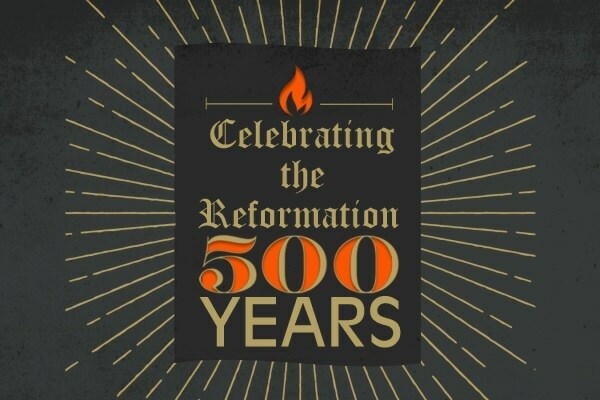 He observed how many churches will be celebrating the Reformation this year even though they quite clearly do not believe in any of the doctrinal truths that the Reformation called attention to. As a sort of a wink-and-a-nod to that fact, the picture that accompanies this blog post today comes from a Baptist church's website! I thought that was funny (and sad). In a Lutheran layman's terms, we need to remember that "man shall not live by bread alone, but by every word that comes from the mouth of God" (Matthew 4:4; Luke 4:4), and must abide in His Word at all times.